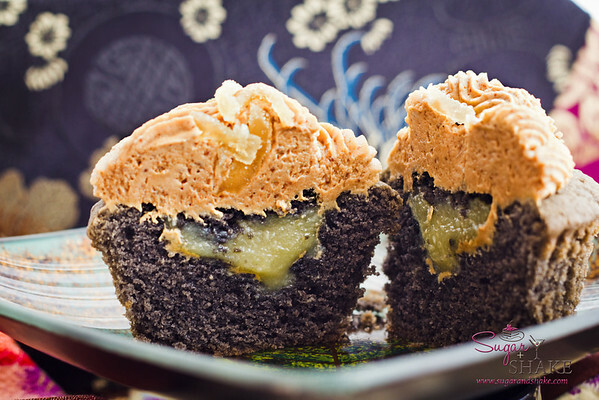 These “Kuro Kuro Ginger” cupcakes, made with kuro goma (black sesame seed) paste, kuro sato (Japanese black sugar) and ginger curd filling, were inspired by SprinkleBakes’ “Sunshine Inside” Black Sesame cupcakes. 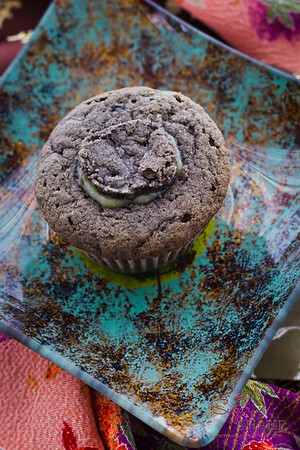 I loved the idea of making a cupcake with kuro goma — when I was a kid, I used to pour them out of the bottle into a small bowl and eat them up. 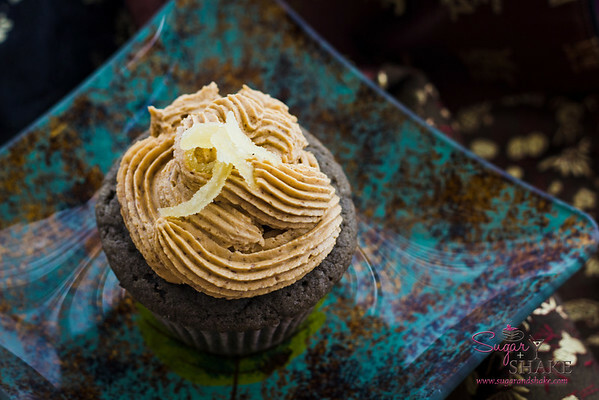 SprinkleBakes’ beautiful cupcakes have a lemon filling and frosting. I preferred the idea of keeping a more Asian flavor to go with the kuro goma. 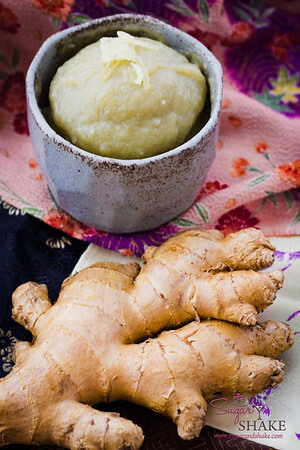 So I substituted ginger curd for the lemon filling and intended a kuromitsu (Japanese “black honey”) frosting. I say “intended” because it was much harder than I thought it would be to find kuromitsu. I had a partial bottle in the cupboard, but I knew it wouldn’t be enough. I tried three different Japanese markets and still couldn’t find any! (In case you’re looking for some, oddly, it tends to be located wherever the pancake syrups are.) I found a few similar products, but none if was the real stuff — it was all imitation, made with corn syrup. Incidentally, this makes me pretty sad because like the author of the Delicious Coma blog, I swoon for ice cream (particularly green tea) covered with kinako (soy bean powder) and kuromitsu syrup. I hope the guy that told me they were supposed to be getting more kuromitsu was not lying to me. I finally had to give up on the kuromitsu concept and decided to try to figure out how to use kuro sato to make the frosting instead. 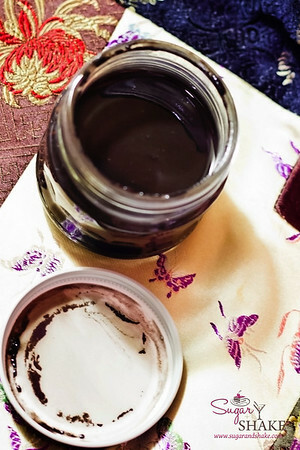 You see, kuromitsu, even though it translates to “black honey,” isn’t actually a honey — it’s a molasses-like syrup made from kuro sato, unrefined cane sugar from Okinawa. Helpfully, kuro sato was readily — and inexpensively — available in big bags. 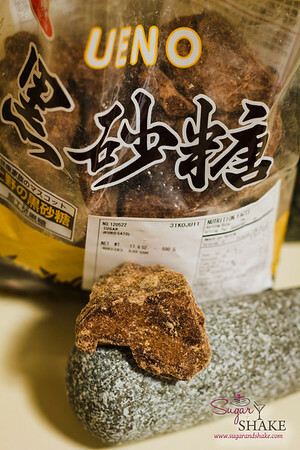 Unfortunately, kuro sato chunks are like rocks! I was afraid to try to grind them in the food processor. Instead, I used a mortar to grind the chunks into as close to powder as I could get, and then put that into the Magic Bullet to try to pulverize it to a powdered sugar consistency. My plan was to replace half the powdered sugar in the frosting recipe with kuro sato. 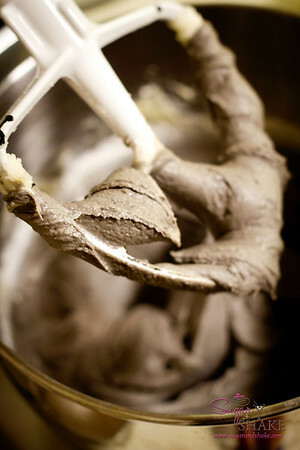 The result was a slightly gritty, malty-, smoky-tasting frosting. Not bad for improvisation! Can’t wait to find some kuromitsu to try making this again. I don’t think the taste will be much different, but the texture will be much smoother, and the process will be easier. For the cupcake batter, I followed SprinkleBakes’ recipe exactly. Well, I meant to. 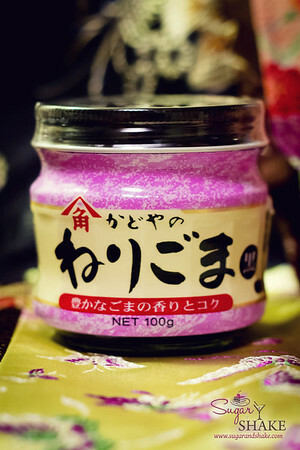 I neglected to write down the quantity of kuro neri goma needed, and bought only one jar at the Japanese market. Oops. Turns out I needed more like three jars. I also completely spaced out and dropped in two sticks of butter instead of just one. Double oops. My cupcakes came out all right, although a little crumblier, and probably less intensely sesame-flavored, than I think they should have been. What probably saved me, in terms of the cupcakes coming out decently, is the buttery-ness of the sesame paste. 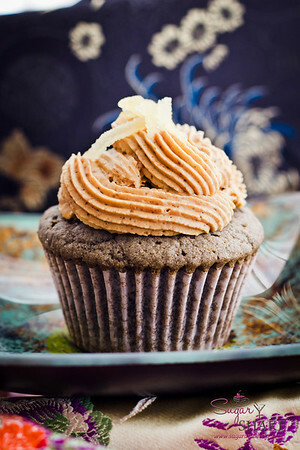 It’s similar to tahini and peanut butter in taste and texture; the cupcakes taste like they were flavored with peanut butter. So the missing sesame paste was probably balanced out by the accidental extra butter. Happy coincidence. If you can’t find kuro neri goma where you are, don’t sweat it. 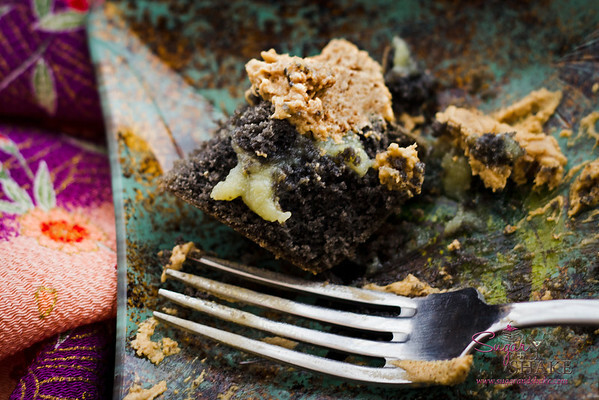 SprinkleBakes has a good recipe for making your own. If you do have an Asian market handy, make sure you read the label carefully and be sure you get KURO (black) goma — the label on this particular jar only says “neri goma” (sesame paste) in large characters on the front (no indication that it’s black). To make the ginger curd filling, I adapted this lemon/lime curd recipe, substituting a diluted ginger juice for lemon juice. 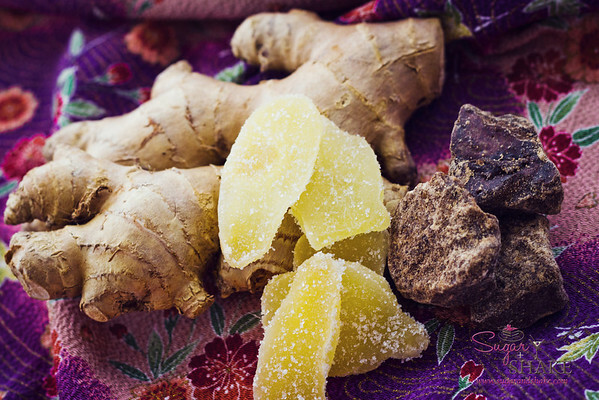 If you have sensitive skin, you might want to wear gloves during this step — ginger juice can be very strong and leave your hands and fingers feeling burned. 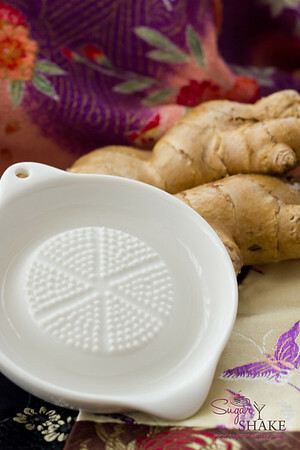 I used a cheap porcelain Japanese ginger grater — these things make grating ginger sooooo easy! 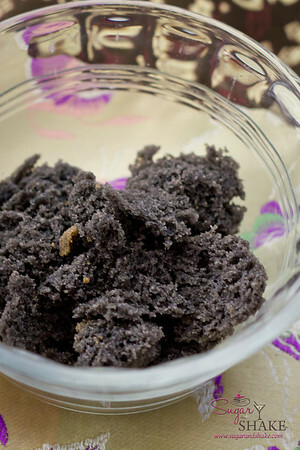 — to obtain the juice, squeezing the pulp in coffee filters to strain out the ginger fibers. 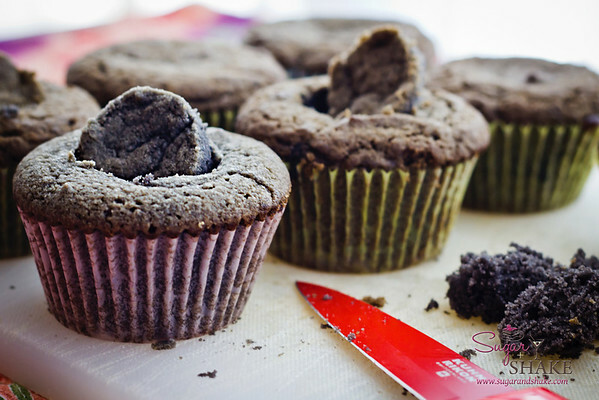 After the cupcakes cool down, they need to have little divots cut in for the filling. Don’t let these go to waste. Cake scraps are a completely acceptable breakfast. My first attempt at frosting cupcakes. Meh. Could be way better. But now that I actually have a set of frosting tips, maybe I’ll get in some more practice. The ginger filling can be a wee bit intense, so I intentionally cut small divots. If you’re feeling more daring (or using a different kind of filling), you could make bigger holes. 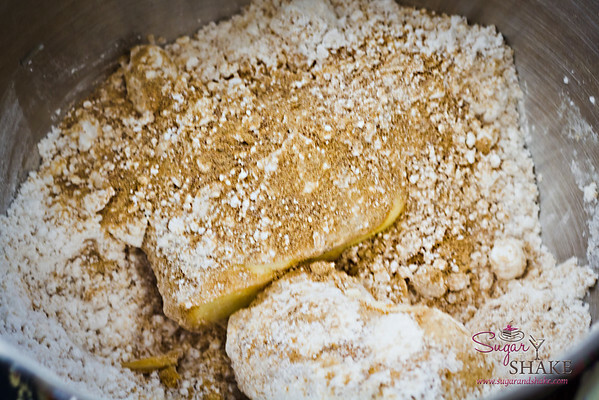 Cream softened butter and sugars together. 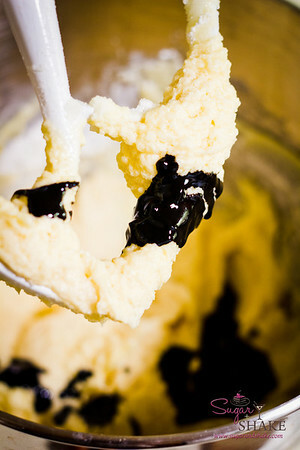 Once the frosting is thick and fluffy add the vanilla. Transfer to a piping bag fitted with a large French piping tip. Pipe frosting onto cooled cupcakes. 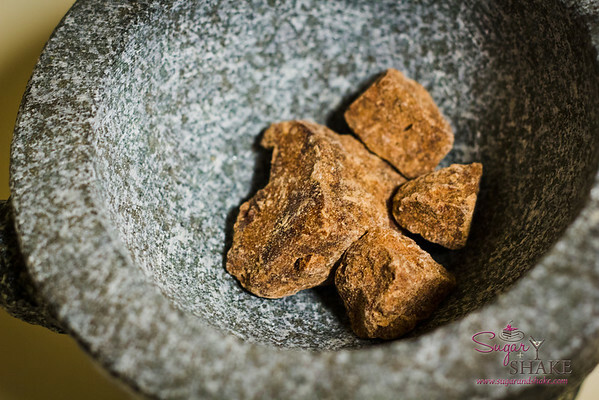 *Grind sugar chunks in a mortar with a pestle first before trying to use a mechanical blender or food processor, or else you risk damaging the blades. Combine the sugar and cornstarch in a medium saucepan, stirring with a whisk. Stir in juice, water and eggs; bring to a boil over medium heat, stirring constantly with a whisk. Reduce heat, and simmer until thick, stirring constantly. Turn off the heat and add the butter and candied ginger, stirring gently until the butter melts. Transfer mixture into a bowl to cool. Cover and chill at least six hours or overnight. Yields about 2 ½ cups.